In 2000, I started a course in Electrical Engineering at Exeter University. As I was living and studying in the city, a car wasn't warranted. It was later in 2002 when I came across a city-coupé owned by a neighbour. Seeing it day after day, I began to look at the car in a different light. Very quickly I began to want one. I bought my very first smart in April 2003 for a staggering price of £6.50. However, it was 18 times too small. As a poor student, the real thing would have been too much. 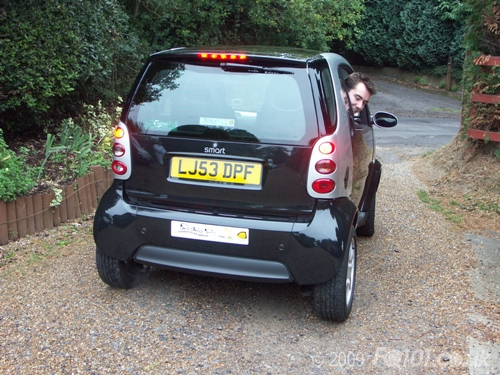 In September 2003, knowing the interest which I had in them, my dad bought a brand new 53 reg fortwo Passion, from smart of Chiswick. This was to be my car when I was at home from uni and my brother’s the rest of the time. It was great. I loved driving it every second. As the smart was a bit of an ‘outlawed’ car, I wanted to meet other people who had a similar interest in these cars. 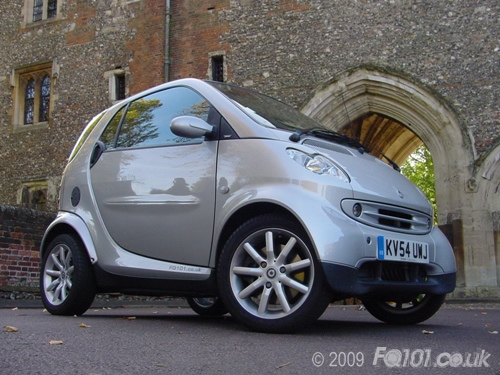 My first smart event was L2B 2004 which I thought was absolutely superb. Since then, I became hooked. Once finishing uni, I took on a job at an Engineering Consultancy in St Albans, Hertforshire. Still struggling with funds, I decided to commute from Chertsey in Surrey everyday and use the money I earned to buy the car off my dad. The day after making the last payment, a badly behaved BMW decided to pick a fight, resulting in its sad farewell. 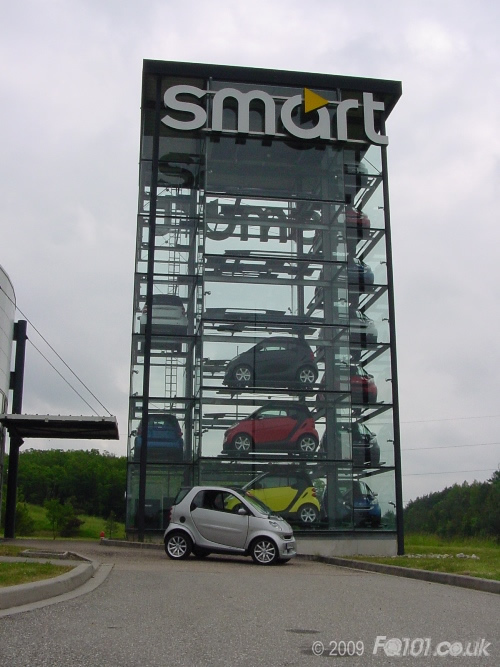 However, I couldn’t move on from smart. I then bought my current car in 2005, a 54 reg River Silver fortwo Passion coupé. As as the second version of the G2 fortwos, it had the added niceties of auto door locking and auto rear wiper when in reverse - all for the insurance payout of the previous one. Soon after this, I found out a local meet run by Berkshire and Surrey Smarts (BASS). I plucked up the courage to go along as the new boy. It was at one of these meets that I met Justrules, JimmyWong and RacingSnake, all who have now become good friends. However, the quality of some of the cars at these meets prompted me to do something about mine! As a modding newbie, I was quite reluctant to do anything. However, after successfully completing a speaker upgrade, I was then itching to do more. The trouble is. When you have something, you always want the next best thing! 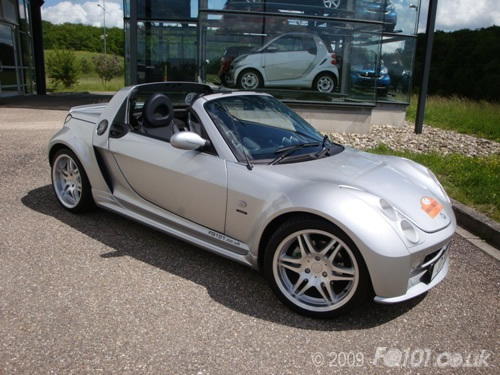 I had always admired the smart Roadster but that was always too far out of reach. 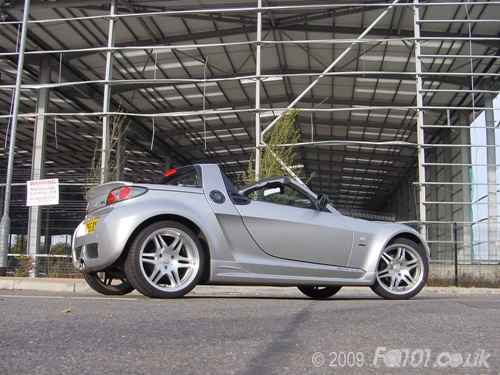 At smartbeat 2006 I drove RacingSnake's Brabus Roadster Xclusive. This was the first time I had driven a Roadster, and what a nice Roadster to start with! Following that day, something started eating away inside me - I had to have one. On a casual Friday afternoon at work, I came across a Roadster for sale at a very good rate. Five minutes later, I had slapped a holding deposit on the car without really thinking! Within 2 weeks I was the proud owner of a Brabus Roadster Xclusive. A wonderful piece of design and engineering.